Why does it matter if you are an inpatient vs outpatient on Medicare? If you are on original Medicare, the answer can be told in one word…cost. Let's look at an example of inpatient vs outpatient status. The other day I was perusing the internet and found this story, which was a response to an article I read. I don't know the name of the person who wrote it, but here it is in its entirety. In June 2010 my 98 year old father fell and broke his hip. He was almost deaf, almost blind, suffered from severe senile dementia, and had made it clear that he did not want to live any longer. When he was asked what he wanted for his 98th birthday and replied, “To be a corpse”. Both he and my mother had prepared health care directives asking to be kept comfortable and not have their lives prolonged if they could not recover. We all felt hip surgery would violate my father's wishes and legal directives. He would suffer a lot of pain, and he would never recover enough to walk again. Because of his age, dementia, blindness and deafness they couldn't rehabilitate him. My mother, his wife of 68 years, was the only person he regularly recognized. He would never be able to return and be with her. The hospital initially opposed our decision. When I asked what benefit the surgery would offer, I was told that it would make it easier to transfer him from bed to chair. Besides, the doctor added, he probably wouldn't live very long. In fact, if my father were really lucky, he might die during the surgery. We reiterated that we wanted no surgery. We wanted him kept comfortable and we wanted to honor his wishes. Eventually the doctors agreed. (Later they told us they were glad we had decided as we did.) Two days later I was again asked if I was sure that I didn't want the surgery, They said they were asking because unless they did the surgery they would have to move him to a nursing home later that day. Didn't I want to reconsider and let them do the surgery? I cannot express how amazed, incredulous and outraged I was at this. Fortunately I knew about Hospice. They said that, if my husband and I would care for my father in our home, he could stay in the hospital for a few days while we got things ready for him. Two days later he died peacefully in the hospital. It was a blessed ending to the Medicare nightmare. I still cannot really believe what Medicare did. Why should the government insist on spending tens of thousands of dollars on unwanted and futile surgery rather than letting an old man with no hope of recovery die the sort of death he wanted. What sort of world is it when a surgeon can say that one of the benefits of doing surgery is that the patient might die on the operating table? Why should Medicare try to undermine someone's health care power of attorney by using a financial club on them? Unfortunately, it's true that Medicare will not pay for a skilled nursing home unless someone has been in the hospital as an inpatient for 3 days. In this person's case, (let's call her Mary for ease) it sounds like her father was in the hospital for observation status. Hospitals use Observation Status to bill Medicare. Unfortunately, it can hurt hospital patients who rely on Medicare for their health care coverage. Since March 8th 2017, hospitals are required to give their patients a verbal and written notice called Medicare outpatient Observation Notice (MOON) that explains that they are in observation status. The MOON tells you why you are in observation status (inpatient vs outpatient). It discusses how the status affects what you'll pay while you're in the hospital and after you leave. Although its a step in the right direction, does it really matter if a patient is given this notice? Will the patient refuse care? Will the family refuse care? In Mary's case, the family did not remove their loved one from the hospital. Would you take your family member out of the hospital if you found out they'd be on observation status? Would it matter to you if they were an inpatient vs outpatient? I don't know how long Mary's dad was in the hospital, but even though the manuals indicate that beneficiaries are not supposed to be in observation status for long, it does happen that lengthy observation status periods occur. In addition to Medicare not covering Skilled Nursing Facilities if there was no 3 day hospital stay (not including observation status), there are other costs. Mary might have found out that medications were not covered by her father's Part D because of the inpatient vs outpatient status on Medicare. Where I live in San Diego, I am unaware of any hospital that will allow you to bring medications from home. They see it as a liability. But Part D generally won't cover your drugs if you are in the hospital. This is another issue with inpatient vs outpatient status. Outpatient services are covered under Medicare Part B. You pay a co-payment for every outpatient service received, and that amount may vary depending on the service you receive. For example, your co-payment for an X-ray is likely to be different than for an emergency room visit. Part B also covers outpatient doctor’s services. You are responsible for paying 20% of the Medicare-approved amount for these services after paying your Part B deductible. Some screenings and preventive services are covered without cost to you because the Part B deductible does not apply. If you are enrolled in a Medicare Advantage plan, it covers your outpatient services just as Part B would. Generally, prescription and over-the-counter drugs you receive in an outpatient setting (like an emergency department) aren’t covered by Part B. Many hospitals have policies that don’t allow patients to bring prescription or other drugs from home for safety reasons. The hospital doctor has a lot of pull when it comes to admissions. In Mary's case, the doctor encouraged the family to agree to surgery. Was there a way to get the doctor to admit her dad without agreeing to surgery? One thing to note is that even if Mary's father had a Medicare Supplement Plan, the outpatient status probably would have cost more. If he would have needed a Skilled Nursing Care stay that Medicare wouldn't cover, the Supplement Plan wouldn't have covered it either. What can you do about inpatient vs outpatient status? If you are an outpatient, your bill could be a lot higher than if you're an inpatient. This could could have a devastating affect on you or your family. Here's what you can do about it. Ask the hospitalist to reconsider your case or refer your case to the hospital committee that decides on inpatient/outpatient status. Ask your own doctor whether the observation status is justified. If it's not justified, ask her to call the hospital and act as your advocate. Ask about your status each day that you are in the hospital. The hospital can change your status at any time. 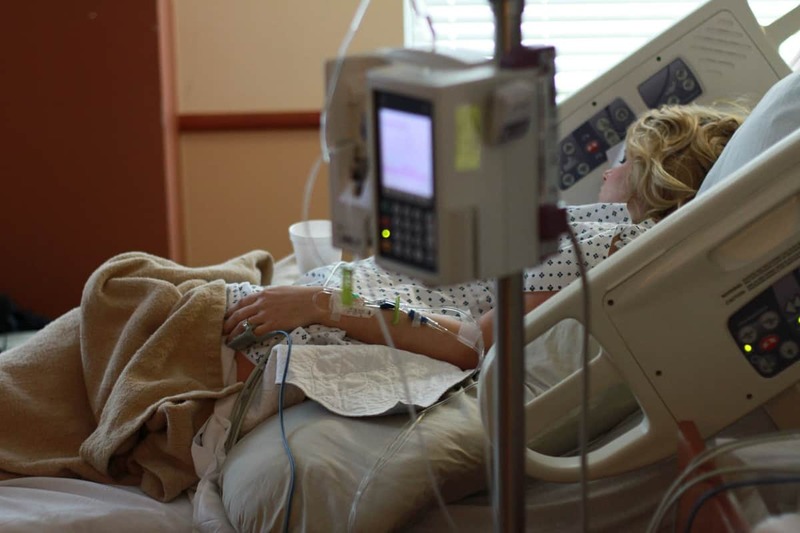 If you wind up in a Skilled Nursing Facility after you leave the hospital, and it's denied by Medicare, appeal the Medicare decision on the basis that you should have been an inpatient and not placed in observation. Use the appeals process if necessary. 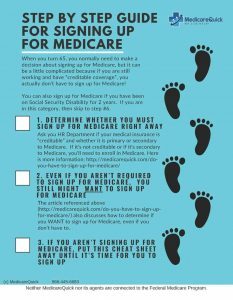 And if you have any questions about Medicare, feel free to contact me.